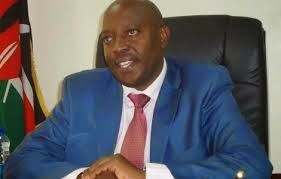 Impeached Machakos county deputy governor Bernard Kiala is now set to appear before the senate committee to defend his name. Those close to him say that he is looking forward to fielding questions from the committee. Kiala was voted out of office by 41-19 votes in a charged assembly session that saw Wiper MCAs vote for his impeachment. Kiala and Alfred Mutua were elected on a Wiper ticket which controls the assembly. Wiper leader Kalonzo Musyoka had earlier met Wiper reps both elected and nominated at his office where he read a riot act on them cautioning them against voting Kiala out of office. The MCAs disobeyed him and went ahead to impeach the deputy who has been put on the warpath with his governor by people around the governor who reportedly do not want a clean person. Kiala has recently attacked his boss for condoning corruption and mismanaging the county resources through his aides. He has singled out the governor’s chief of staff Mwengi Mutuse, chief officer in charge of decentralised units Nimrod Mbai and county secretary Francis Mwaka as the faces behind financial woes in the county by cutting deals and promoting nepotism in employment. Chief officer in charge of labour and ICT Raphael Kala’s name also features prominently among people who sway the governor. According to a petition to Transitional Authority signed by Ndalani ward MCA Stephen Muthuka, senior aides in Governor Mutua’s office have influenced employment of close relatives and proxies selectively without going through the county public service board. According to the petition, Mwengi’s wife, Esther Mwengi, is the head of procurement at decentralised unit. Mwengi’s brother Ngeto Mutuse is the one in charge of revenue at Mavoko subcounty. Mwengi has also influenced employment of more than 45 employees from Kibwezi sub-county in Makueni county to the detriment of qualified young people from Machakos county who have to watch as their devolved funds are redevolved to Makueni county. Mbai’s wife, Ann Wathome, is the head of procurement at youth, sports and education department. Chief officer of ICT and labour, Raphael Kala’s wife, Sally Kala, is the head of procurement at water with his cousin heading emergency control in Yatta sub-county. He has also influenced employment of more than 25 drivers in the county, according to the petition. The employment racket saw the chairman of county public service board Alphonce Kioko tender his resignation accusing the county government of not following the law during employment of staff. According to the report, Machakos based politician Paul Mbole has five of his children working in the county. Those close to Kiala say he is set to paint the real picture of the governor once he appears before the senate sub-committee. The deputy also appeared before the Ethics and Anti-Corruption Commission last week to shed light on acquisition of county executive vehicles and procurement of key projects undertaken by the county. Projects investigated by the Mumo Matemu led-commission include renovation of Kenyatta Stadium where no procurement was done, construction of thye so-called People’s Park, acquisition of second-hand ambulances and police patrol cars. Also in the spotlight is the purchase of tractors by the county government. All the projects are said to have been single-sourced. MCAs opposed to the governor also claim more than 30 top county officials reside in Nairobi where they are picked and dropped every day raising the cost of fuel expenditure for the county and wonder the job done by the government’s check unit with word that they are misused to serve personal errands. 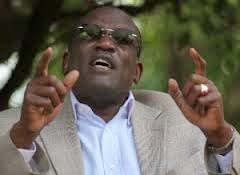 Back to the impeachment game, MCAs close to the governor told Weekly Citizen that the governor is silently tilting towards Jubilee in fear that the Cord leadership is dominated by Machakos senator Johnson Muthama who does not see eye to eye with the governor. 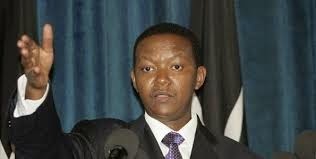 Mutua is said to be considering defending the seat come 2017 on Jubilee. He is believed to be not happy with party leader Kalonzo for having a soft spot on the senator who has vowed to bring him down. Mutua has been supported by MPs Victor Munyaka of Machakos Town, Vincent Musyoka of Mwala, Itwiku Mbai of Masinga and Mwingi North’s John Munuve, while Muthama has Patrick Makau of Mavoko, Mweu Katatha of Kangundo and Stephen Mule of Matungulu. Yatta MP Francis Mwangangi has of late steered clear of the wars between the duo.